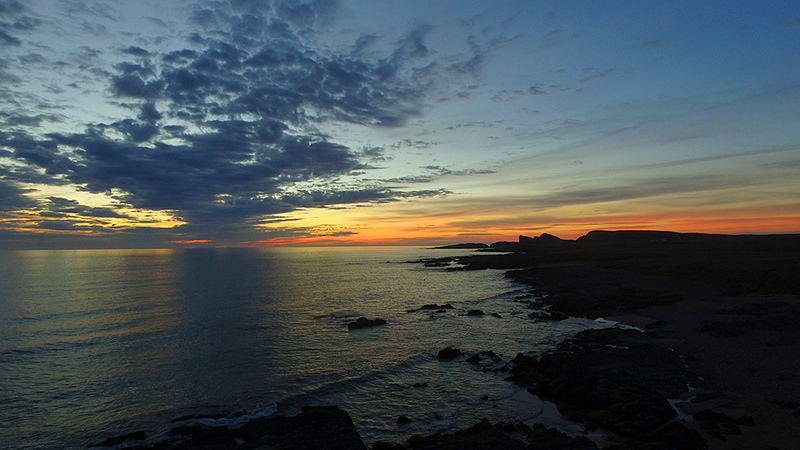 The gloaming after a June 2015 sunset in Saligo Bay, taken from the air with a DJI Phantom 3. While the sunset itself wasn’t that great (the sun disappeared behind a bank of clouds at the horizon) the gloaming produced some decent colours and views, especially from high up in the air. This entry was posted in Beaches, Cloudy Weather, Islay from the air, Landscape, New Post, Night, Sunny Weather, Sunset and tagged Gloaming, Islay, Opera House Rocks / Sleeping Giant, Rhinns of Islay, Saligo Bay by Armin Grewe. Bookmark the permalink. @islayblog gorgeous pic! Good morning to Islay!